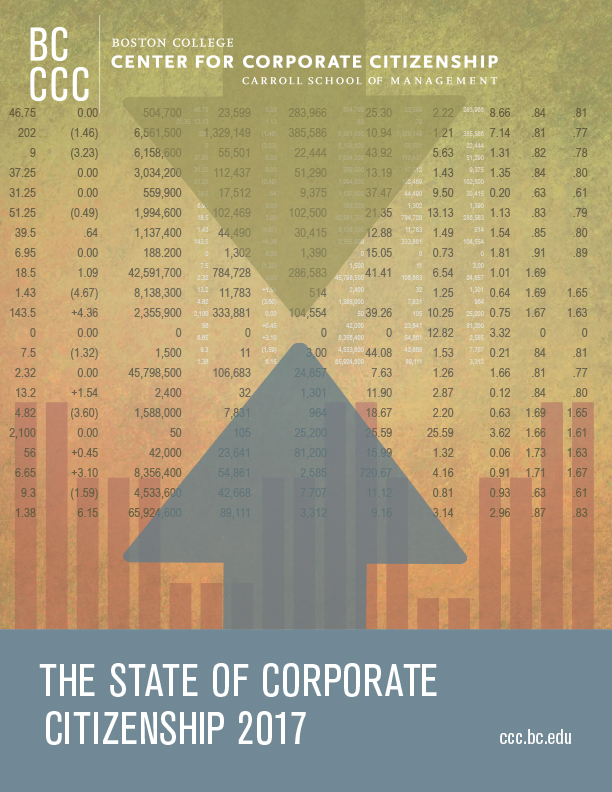 CHESTNUT HILL, Mass., Jaunary 26, 2017 /3BL Media/—Boston College Center for Corporate Citizenship is pleased to release the 2017 State of Corporate Citizenship, a unique research report that examines how executives view corporate citizenship in both business and global contexts, and identifies the topics and issues they find most important. The 2017 report reveals that corporate citizenship is accepted by executives as a crucial strategic business practice, vital not only to the sustainable progress of our economy and communities, but also to business success. Companies recognize their role in meeting climate goals as the majority of executive respondents report they have increased, or plan to increase, efforts to reduce greenhouse gas (GHG) emissions in response to the Paris Agreement. 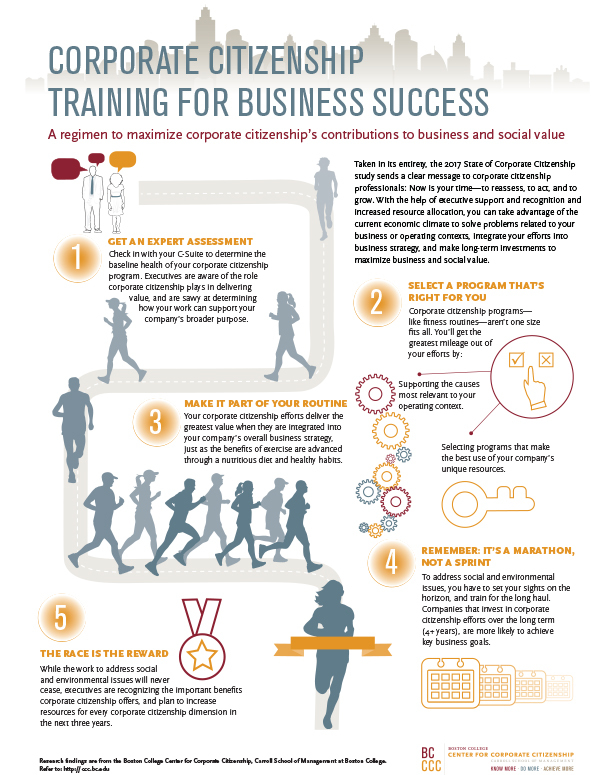 The majority of executive respondents confirm that, when integrated into business strategy, corporate citizenship helps their companies successfully achieve strategic goals, particularly when they invest in corporate citizenship programs for at least four years. The majority of executive respondents expect resources to increase for every listed corporate citizenship dimension over the next three years, at even greater numbers than in the 2014 study. The 2017 State of Corporate Citizenship is among the research findings available to the Center for Corporate Citizenship members. To learn more about this study, as well as other Center offerings and events, visit ccc.bc.edu.